RMA Armament is proud to announce the latest edition to its armor family, the ALPHA Armor Series Level IV (model #1199) hard amor plate. Weighing just 4.4 pounds, it is the now the world’s LIGHTEST plate in its class. RMA’s latest product offering further displays it’s strength as the world’s best research and development team in the hard amor market. 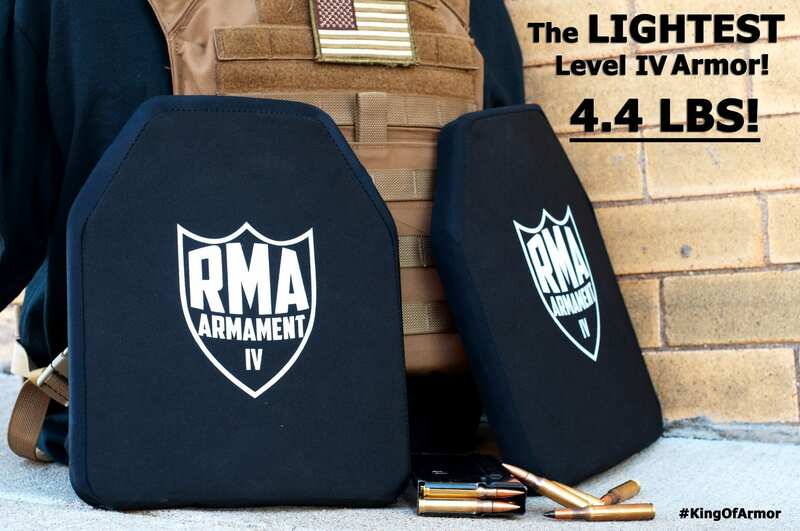 Having already developed the strongest armor plate in world, the R&D team at RMA now adds the lightest level IV hard armor solution to its resume in support of police and military personnel around the globe. “To say that I’m excited about our latest level IV plate would be quite the understatement,” said RMA CEO Blake Waldrop. “Our primary goal with every new product is to provide the highest quality protection while balancing cost, weight, thickness, speed, and strength. In testing at the NIJ certified Oregon Ballistic Laboratory, RMA’s Alpha Armor Series Level IV (model #1199) defeated a single round of .30-06 armor piercing ammunition from 50 feet, registering a back-face signature of just 35.58 mm. For compliance to the NIJ 0101.06 level IV standard, a hard armor plate must defeat single .30-06 M2AP round with a BFD of less than 44 mm. The model #1199 level IV plates are now available for pre-order at www.rmadefense.com and RMA’s dealer network. 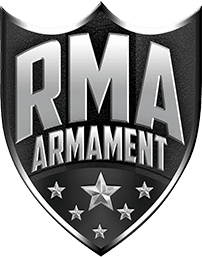 RMA Armament, Inc, is a privately held Veteran-owned small business that designs, manufactures and markets NIJ certified hard body armor plates at its production fortress in Centerville, IA. To learn more, visit our website at: www.rmadefense.com.